International Journal of Research in Medicine (IJORIM) publishes papers describing original research in all areas of medical, paramedical and biological fields. Submitted original research papers should represent a novel and important contribution to the understanding of any area of medical, paramedical and biological research and provide mechanistic insights into the process. All submitted articles should report original, previously unpublished research results, experimental or theoretical, and will be peer-reviewed. Articles submitted to the journal should meet these criteria and must not be under consideration for publication. Manuscripts should follow the style of the journal and are subject to both review and editing. 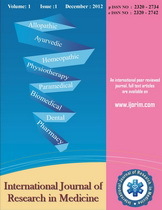 International Journal of Research in Medicine (IJORIM) is an international peer-reviewed multidisciplinary online journal published in quarterly. 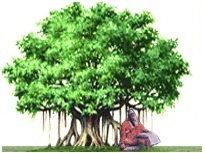 The journal accepts Original Articles, Review Articles, Case studies/Reports.